We are back from North Carolina and we see that things here in the SLPL are humming along. Good deal. As an owner of a shiny new 2017 Santa Lechuga team, it's important that you understand how she runs. So today we are talking about trades. From there, fill out the form, double-check everything, then hit Submit at the bottom of the form. Just about as easy as it sounds. 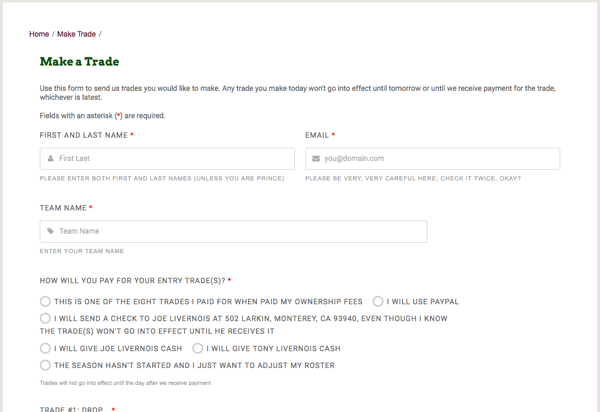 One last thing: We don't give refunds on unused trades. So, you know, use them.